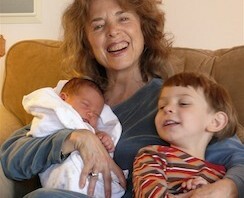 Get to know Dr. Margaret Paul, one of the co-creators of SelfQuest and the Inner Bonding process. Dr. Paul is the author/co-author of several best-selling books, including Do I Have To Give Up Me to Be Loved By You?, Inner Bonding, Healing Your Aloneness, The Healing Your Aloneness Workbook, Do I Have To Give Up Me to Be Loved By My Kids?, and Do I Have To Give Up Me To Be Loved By God? Dr. Paul’s books have been distributed around the world and have been translated into eleven languages. Margaret holds a Ph.D. in psychology and is a relationship expert, noted public speaker, workshop leader, educator, chaplain, consultant and artist. She has appeared on many radio and TV shows, including the Oprah show. She has successfully worked with thousands of individuals, couples and business relationships and taught classes and seminars since 1967. Margaret continues to work with individuals and couples throughout the world — mostly on the phone. She is able to access spiritual Guidance during her sessions, which enables her to work with people wherever they are in the world. Her current passion is working on and developing content for this Website, as well as distributing SelfQuest®, the software program that teaches Inner Bonding® and is donated to prisons and schools, as well as sold to the general public. Margaret is passionate about helping people rapidly heal the root cause of their pain and learn the path to joy and loving relationships. In her spare time, Margaret loves to paint, make pottery, take photos, watch birds, read, ride horses, and spend time with her grandchildren. Get to know Dr. Erika Chopich, one of the co-creators of SelfQuest and the Inner Bonding process. Dr. Chopich holds a Ph.D. in psychology, is a best-selling author, and an ordained Chaplain. She has worked extensively with the homeless population around the country. Erika has a medical background and before practicing as a psychotherapist, she was an administrator for the Los Angeles Free Clinic. In addition to working with individuals, groups, and business mediation, Erika is an accomplished speaker and seminar leader. She has appeared on many radio and TV shows, including the Oprah show. She is co-author of Healing Your Aloneness and the Healing Your Aloneness Workbook, which have been translated into seven languages and are bestsellers in Germany. Erika currently resides in Berthoud, Colorado. She is an accomplished pilot and an experienced chef. She continually offers her insight, creativity, quick-wit, humor and playfulness to the ever-evolving process of Inner Bonding. In addition, her unique ability to see and speak with Teachers supports the Inner Bonding process with a constant source of new information. Erika writes and publishes her blog from a deep appreciation of nature and of life. She has the ability to observe, apply and to teach the Inner Bonding process in every, day-to-day, situation. Her observations and her humor have gathered a large following. 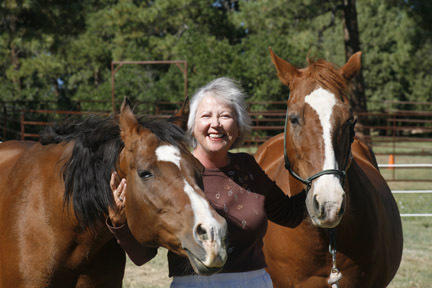 Erika is passionate about her horses and spends much of her free time training and riding them. She also enjoys photography and paints in pastels. Her two dogs, Merlin and Frodo are her constant companions. The life-changing, self-guided, self-healing, personal empowerment and conflict resolution program. SelfQuest gives you the consciousness, mindfulness, wisdom and tools to manage, heal or overcome almost any life challenge. Self-heal anxiety, depression, stress, anger, guilt and shame. SelfQuest unleashes the true power within you. The power to find yourself, heal yourself and love yourself. Copyright © 2019 SelfQuest® - All Rights Reserved.